You know that conundrum when you've got a date at 7pm and a roller disco at 9pm, and you're not quite sure on what to wear to minimise the need for an outfit change? Well, Yves Saint Laurent's got you, girl. 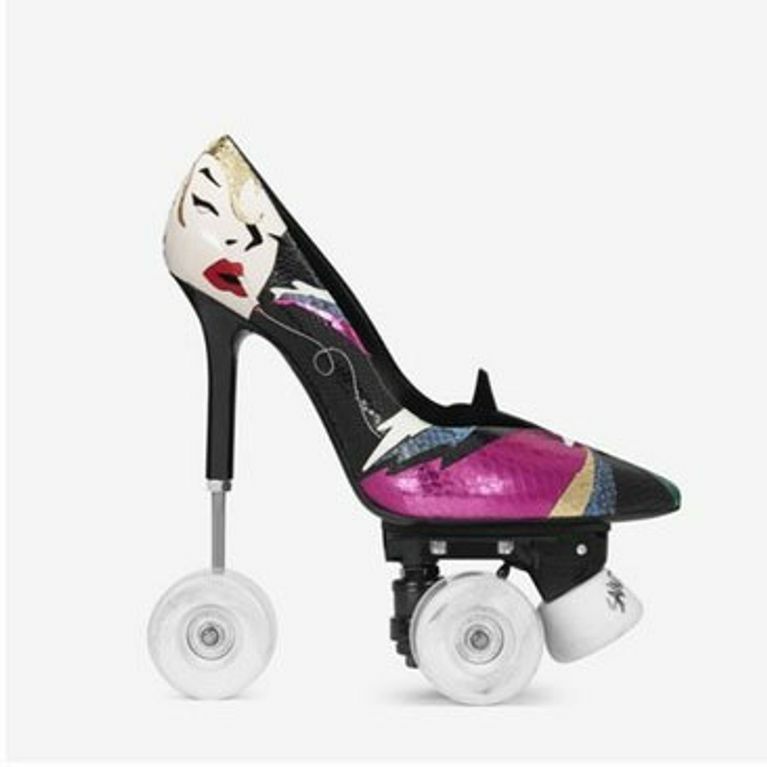 Enter: the roller-skate stiletto. Graceful, yet sassy. Pretty, yet dangerous. Practical, yet really very unpractical. These are just a few words that come to mind when looking at Saint Laurent's latest shoe collection. In their latest season accessory release, their stiletto/skate combo is something to be admired and feared. Find a woman who can conquer these and she can conquer the world. The roller skate stiletto is priced at £1,995, which admittedly is a little more expensive than the Zippy skates we had as a nipper. They have three wheels and a cute little stopper on the front which probably won't do anything to stop you going A over T on your drunk dash to the bar. YSL are obviously aware that we are busy women, trying to be everywhere at all times, but I'll tell you something for free: attaching another death trap onto something that is already a death trap is never going to end well. I think we'll stick to a chunky wedge and a taxi for now, thanks.